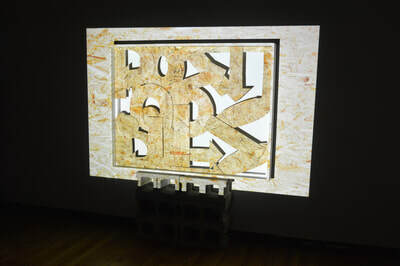 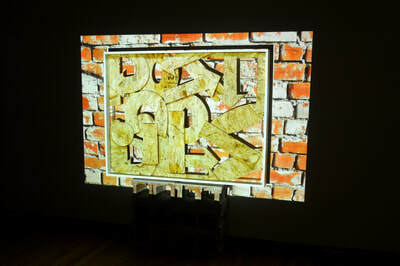 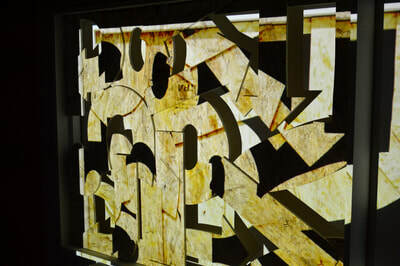 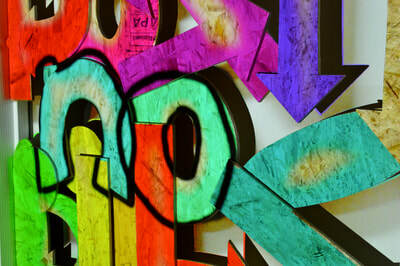 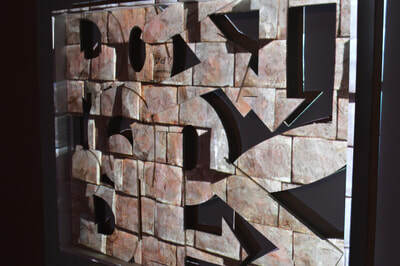 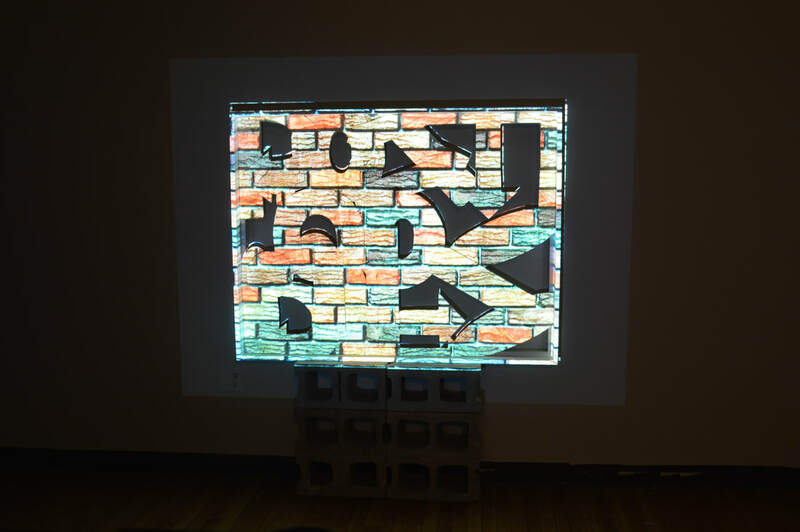 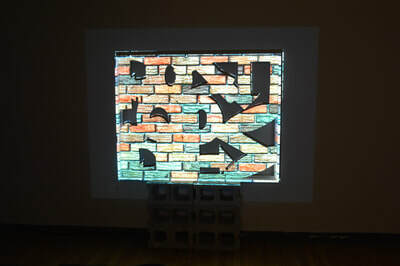 Recycled OSB Plywood, Recycled Cinder Block Base, Projection Mapped Media. 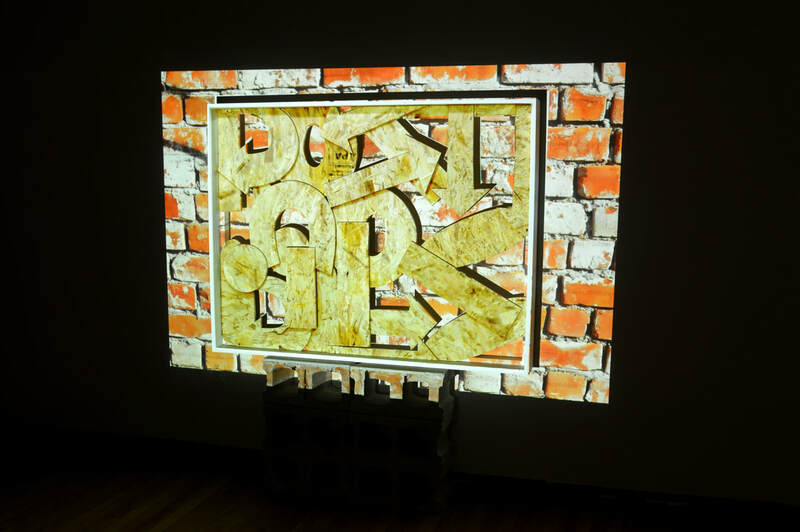 I approach graffiti as a method of applying aesthetic devices to re-contextualize a subject through active material engagement; where the development of my graffiti productions was integral to interacting with the material, object, or space that is in front of me. 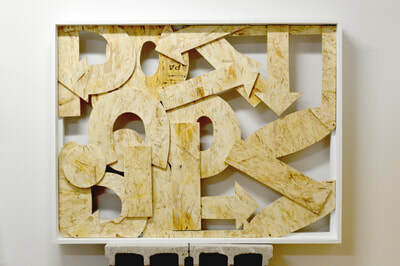 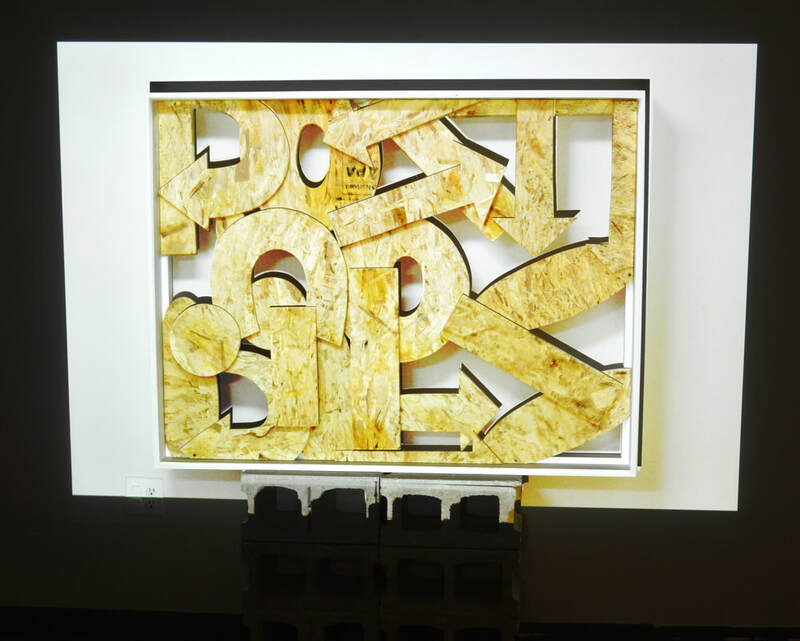 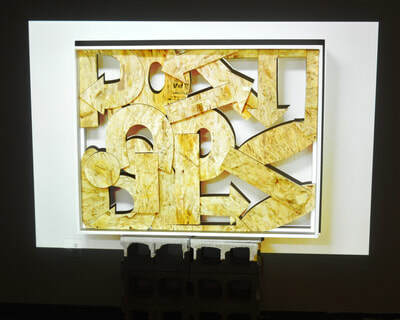 I apply the graffiti term cut back towards my physical interactions with OSB plywood in order to create shapes which can be further complied to form words or statements. 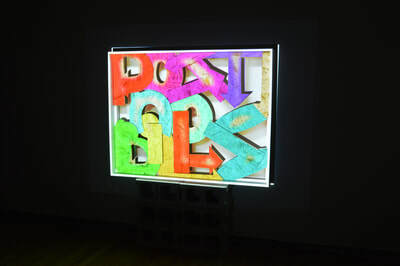 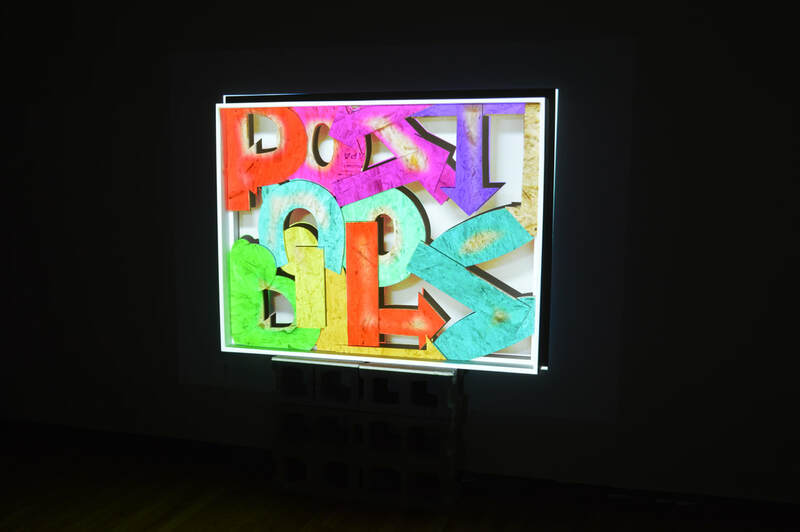 The abstracted phrase “post no bills” echoes back to the previous site of existence for the OSB plywood before it became re-contextualized as a material for my artistic production. 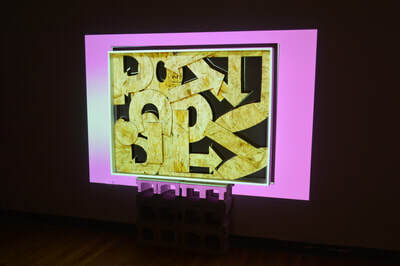 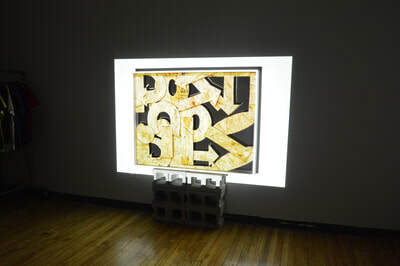 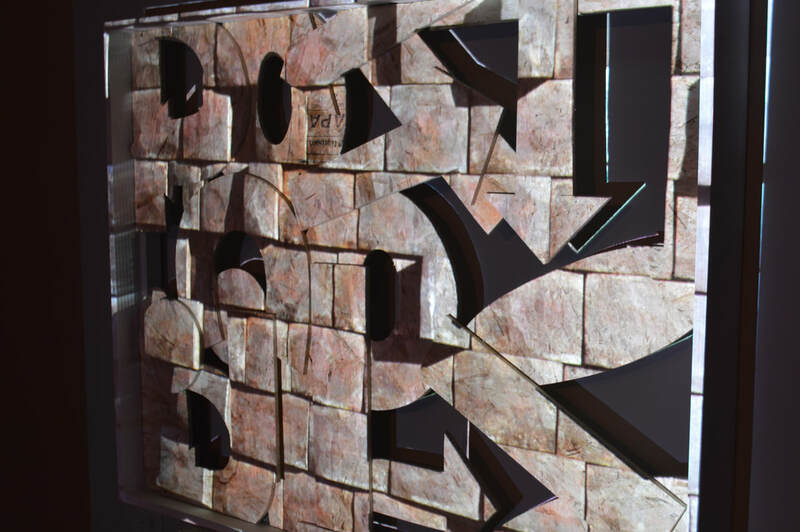 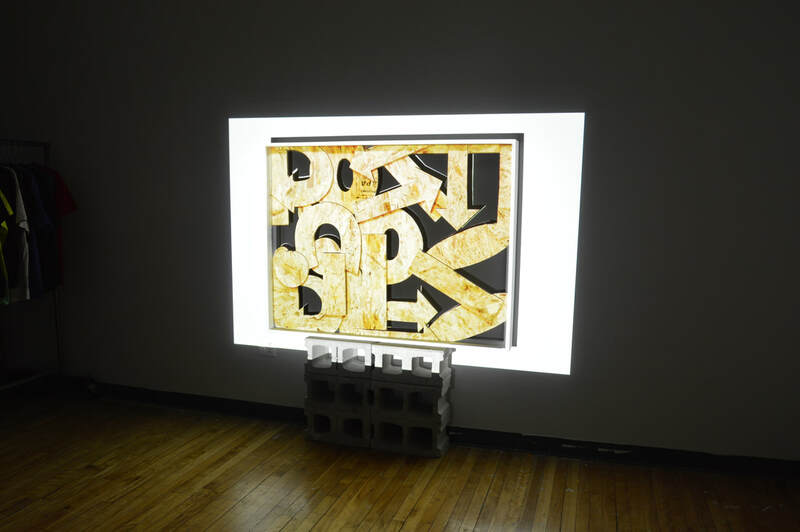 In order to emphasize and aestheticize the ephemeral nature of OSB plywood wall’s and the interaction that they experience, I use my framed cut back as a projection surface where a large variety of material and color compositions are projected within the piece.